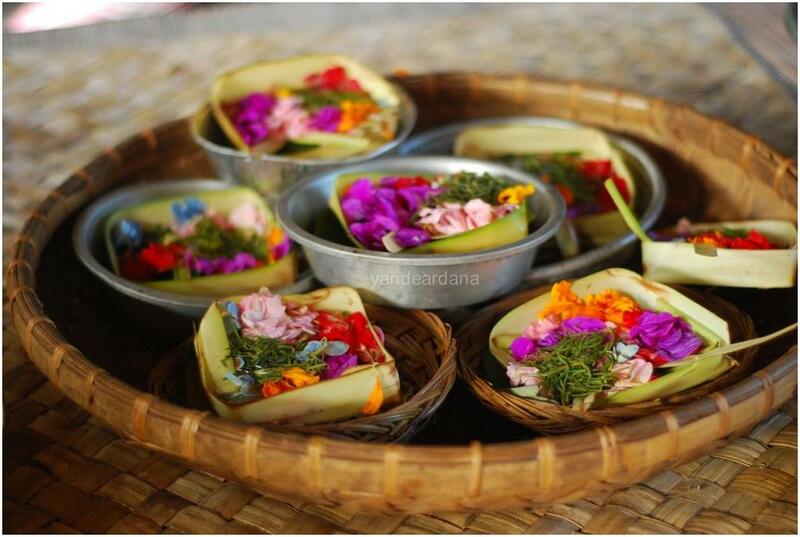 Canang is a Balinese language refers to daily offering made of young coconut leaf in square form made by folding the leaf and skewered by bamboo. 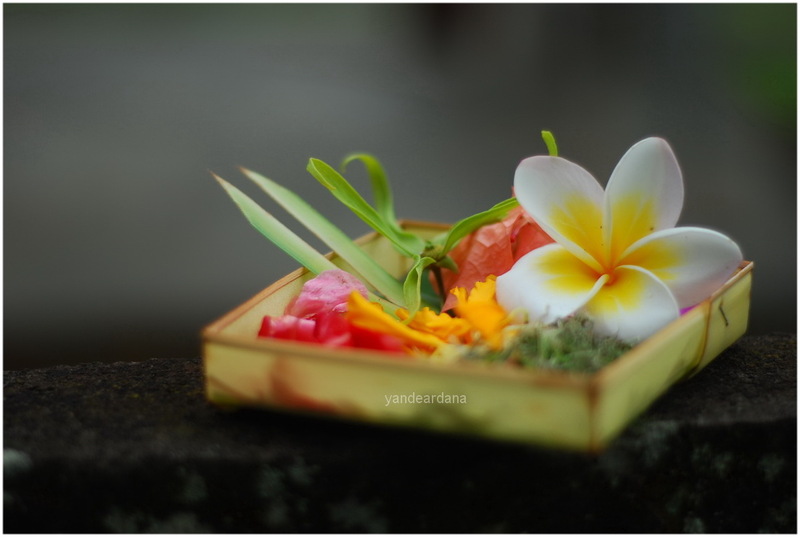 On this square form leaf we put colorful flowers, “porosan”, a litle dab of lime paste plus tiny sliver of areca nut wrapped up in betel leaf and fruits mostly a slice of sugar cane or banana. 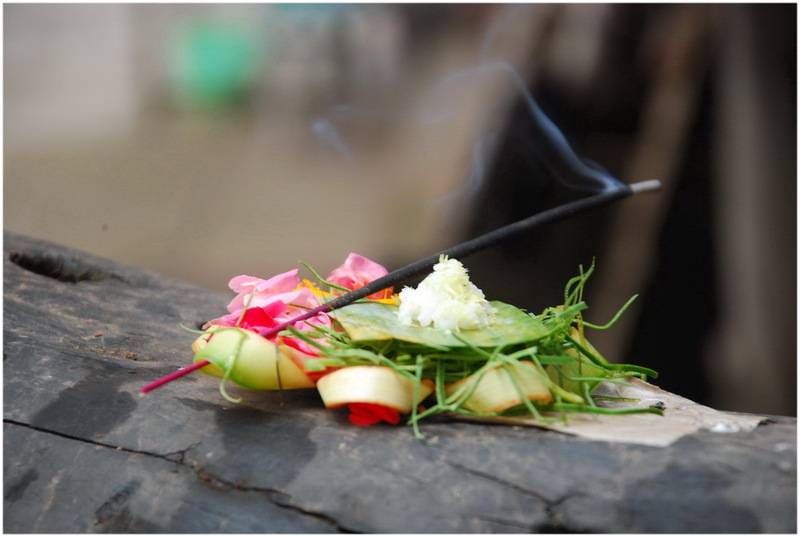 Stick of incense and water are needed when we offer this thanksgiving expression to God. 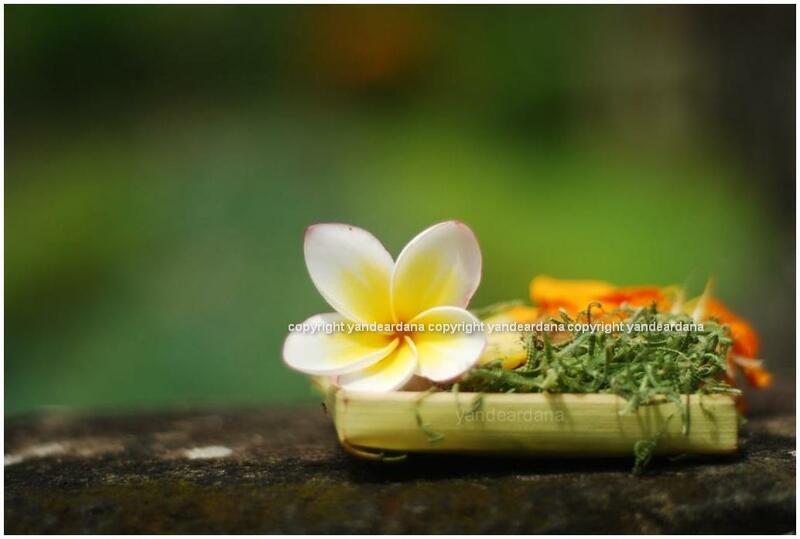 As tourists you will see this offering in front of souvenir shops or dashboard of taxi in Bali. Bhagavad Gita (ix:26), one of Hindu holy books says Whosoever offers to me with devotion a leaf, a flower, a fruit, or water, that offering of love, of the pure heart I accept.